...and I thought it would never happened in my lifetime. 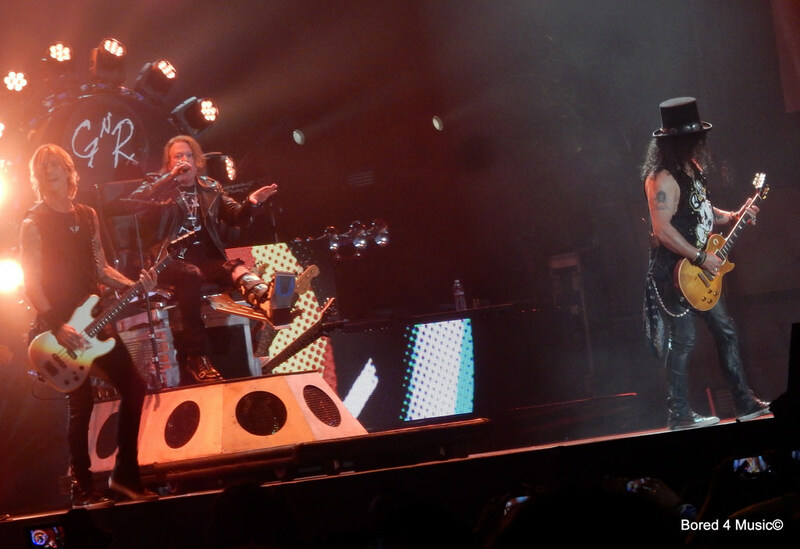 Axl, Slash, and McKagan back together as Guns N' Roses! Then again, I guess it is most likely for old time's sake. I'm not expecting new songs and even if they somehow managed not to cat fight among each other throughout their current tour. Nevertheless, I still wish I was at Coachella last weekend to catch this memory-filled glorious moment though. Even though I've seen GNR live before but...come on, this is just different. Oh well.